The caffeine version of TenRen's Ginger Tea consists of a blend of ginger roots, chicory roots, and black tea. 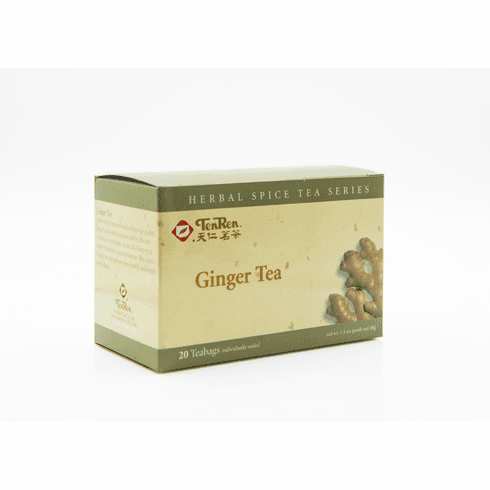 Ginger lovers will love this tea as the aroma and taste of ginger is quite prominent. Many individuals enjoy a cup of ginger tea when they are feeling under the weather. Water at boiling temperature should be used for steeping. Available in boxes of 20 bags. Shipping weight is 0.16 lb.